As I promised in my previous post, I will be sharing my experience and takeaways from one of the interesting WordCamps that I’ve attended WordCamp Albuquerque 2018 in this post. It took a little while for me to publish this post than I intended. But hey! Better late than never, right? WordCamp Albuquerque 2018 was one of the best WordCamps that I’ve taken part in. It was a phenomenal experience for me and I believe for all the attendees who were there as well. So, starting off my journey to the United States of America, I reached Atlanta, Georgia with my family from Boston on 18th January 2018. But, before I arrived at Atlanta, we celebrated my brother-in-law, Santosh Karmacharya’s birthday in Boston. While I was in Boston, I had an unusual yet fun experience at the Boston airport. 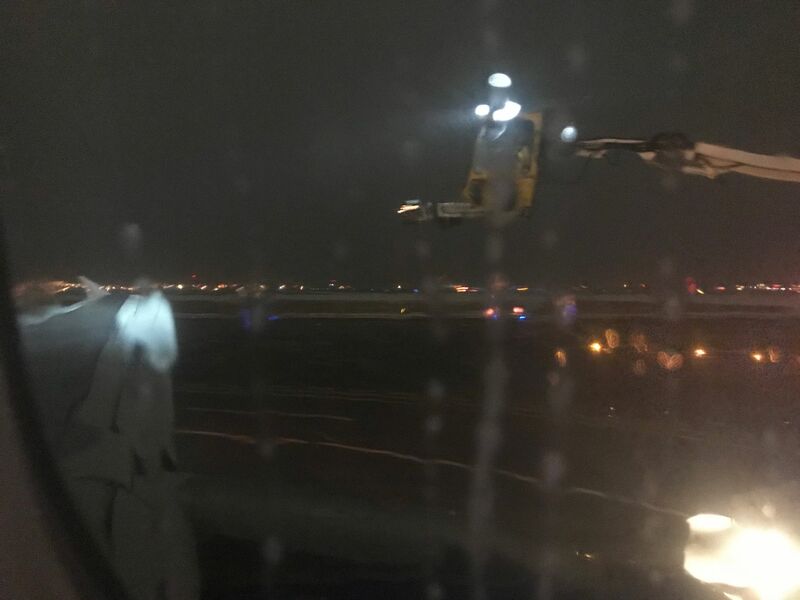 My flight to Atlanta got delayed by 45 minutes because of the heavy snowfall in Boston. Only after getting inside the airplane, we were informed that the airplane got frosted due to heavy snowfall. We were told that all preparations were done; the only thing left to do was to defrost the airplane. This was the first time that I was experiencing something like this – something like ‘defrosting a plane’. I was shocked to see cranes with heavy spray guns cleaning up a plane’s engine. There were so many police officers with their emergency lights on, surrounding the airplane. While we were inside watching all the cleaning going on, the airport team was outside, dealing with the cleansing of the plane’s engine, wings, and other parts. It nearly took about an hour to finish up the whole defrosting process. It was kind of scary but a very exciting and fun experience that I had for the very first time. Despite the heavy snowfall, the roads in Boston were all clear; thanks to the Snow Removal Strike Force in Boston. After reaching Atlanta, we came to know that all the road routes were blocked due to snowfall. The main horror – it was night time. It was kind of shocking to see the state covered in snow as Atlanta rarely has snowfalls. I was in despair as I had no idea how to reach home as all the roads were closed. Then, we got on the Marta Train from the airport to our home. It was a hectic day for us. So, let’s say, the overall experience from Boston to Atlanta was intriguing and I also came to know that Atlanta is not that well-prepared in case of snowfalls compared to Boston. The next day, I was at home, so, I prepared for my presentation a little. And the day after that, on 19th of January, I took a flight to Albuquerque. So, here begins my WordCamp Albuquerque 2018 journey. I would say the starting of WordCamp Albuquerque 2018 was quite fun for me. 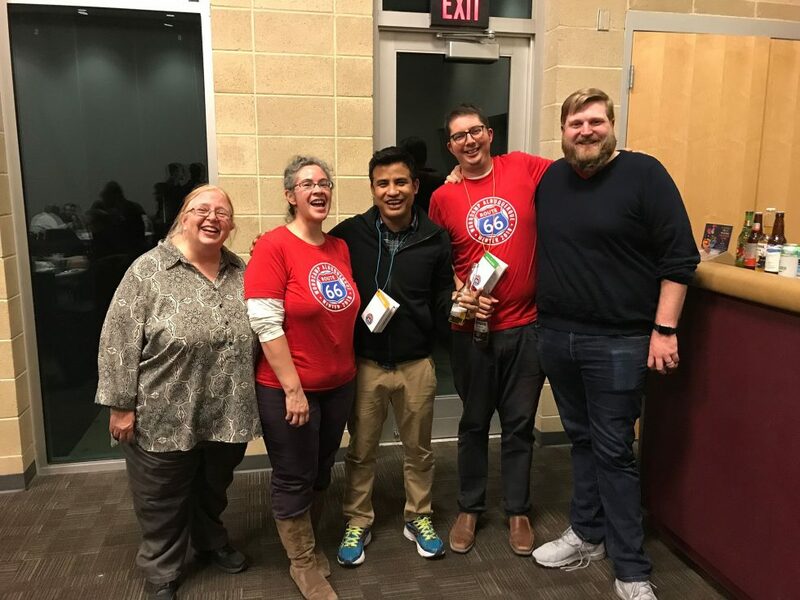 WordCamp Albuquerque 2018 was a three-day event. The first being the Beginner’s WordCamp where basic WordPress-related sessions would be held, the second day being more like the Traditional WordCamp day with professional sessions and the last day was the Contributor Day. I think it’s very interesting and also a must-have feature in every WordCamp. Talking about WordCamps in Nepal, it has always been a one-day event and that day covers every aspect of WordPress, which I think is a little messy for everyone. So, I think separating the beginner and professional sessions with reasonable ticket prices for each day in WordCamps is an excellent idea to go for. It would be a win-win situation for both beginners and professionals. So, I actually am looking forward to getting a positive response in this matter from my fellow WordPress community members. This is one of the many things that I got to learn from the organizing team of WCABQ 2018. The other good part about the WordCamp was that you could purchase the ticket for the main session or for the fundamental session only, or purchase the whole Shebang (both days). After reaching the airport, I directly headed to Hotel Courtyard Marriott and took rest for a while. Then, Sam texted me to join a small meeting for the WordCamp in the hotel’s lobby. I got ready and went to meet Sam and other fellow WordPressers. After meeting Sam, I gifted him the portrait charcoal painting made by Susan, one of my staffs in Catch Internet. During that meet and greet, I met a few amazing WordPress personalities including Dennis Snell , Chris Lema, Jon Brown and Sam Hotchkiss, of course. The most interesting and positive part of this WordCamp for me was that it felt home being surrounded by the well-known faces in WordPress. We all were together throughout the day and also in the evening as well. After that, we also went to the Speakers dinner together and had our dinner. We went to the largest restaurant in the whole area, El Pinto. It was less like a restaurant and more like a gigantic adobe compound that serves authentic New Mexican cuisine. The dishes were enticing and not to mention the place and the services provided there, they were extremely good as well. We got to know each other a little more personally. We, then again, headed back to our hotel and yet again, had a small after party in our own lobby. Later, we were joined by Pam Ann Aungst, Alonso Indacochea and AJ Morris as well. So, yeah, that’s how I spent the first day of WordCamp Albuquerque 2018. The second day, 20th January was the actual WordCamp day with a broader focus on the WordPress community at large. This was the day when I spoke in front of the whole crowd. My topic for the presentation was “Building a Theme Business: My Story”. I was extremely honored to have that opportunity as I was not only giving a speech but I was trying to inspire people to initiate their journey in WordPress with whatever they had. My presentation went very well and most importantly, people were inspired by me and my story. It was a very proud moment for me to come on an international platform and talk about my journey. One thing that I must tell you all is that I was not at all stressed about my speech. I was quite relaxed throughout the whole event. And I was very happy to attend this WordCamp in Albuquerque at that moment. After the speech, I was later interviewed by our very own, Chris Lema. He is a very generous guy with a very positive attitude. The interview was more like a casual talk. Having spent a whole day with him on the 19th, I was not really nervous during my interview with him. He asked me about myself, my businesses, the WordPress community in Nepal and more. So, I would say that the interview was very casual and relaxed. He also interviewed many other WordPress personalities as well. And the thing that I learned from his interviews is that everyone has their own way and the struggle that they have gone through to initiate and build their business in WordPress. And it was so good to know that the personalities also did not only build their business in WordPress but in many other sectors as well. So, that was basically another interesting thing that I learned from WordCamp Albuquerque 2018. While exchanging words with fellow WordPressers, we were on a lot of topics that was very important for the future of WordPress business. We talked about the possible ways to grow and expand our business, how we can reach out to people for partnership, and more. The talks mainly focused on finding easier ways to expand our businesses. We all agreed on the fact that Theme Business is getting more complicated and saturated; so, we also discussed the possible solutions to it as well. We also exchanged a few words on the upcoming big thing – the Gutenberg Editor. So, now let’s talk about the best happenings in a WordCamp – the Afterparty. The after party was an amazing place to talk, relax, and exchange ideas that help build something extraordinary. It took place at National Hispanic Cultural Center Grand Hall. 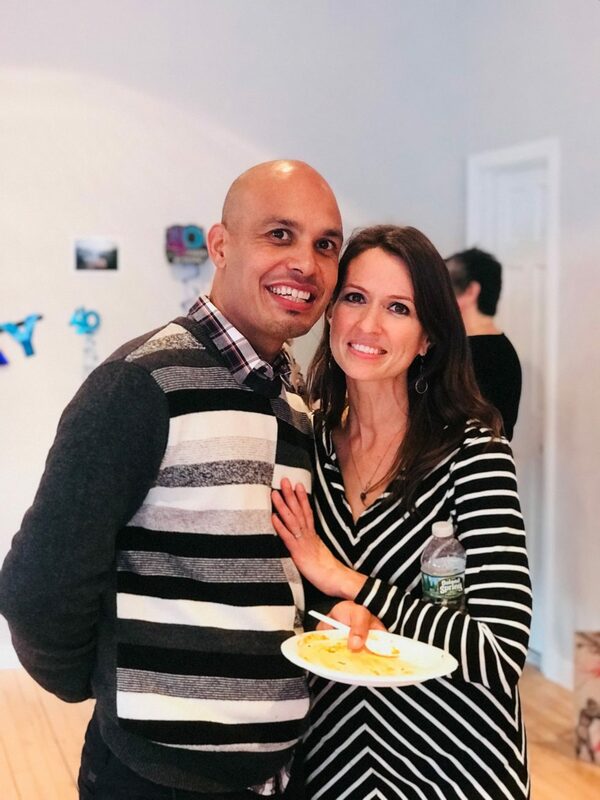 I felt the after party was a grand success and I got to socialize with so many like-minded people who left me re-energized and refreshed. It was a relaxing and rejuvenating end to the second day of WordCamp. 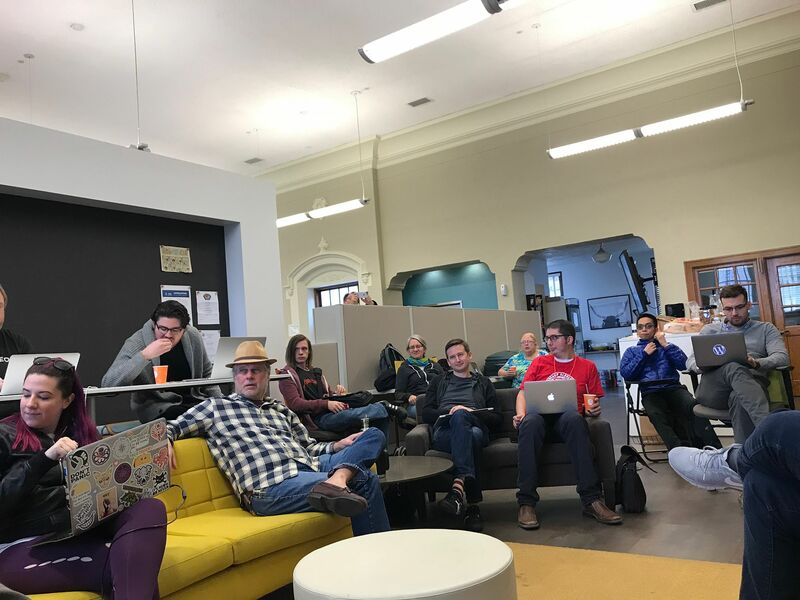 The Contributor Day was held at a different location, the FatPipe ABQ co-working space on 21st January. As I had to go back to Atlanta for my birthday celebration, I couldn’t fully attend the sessions. But, I still was present at the Contributor hall for a short period of time. We only had a few members in our group, so, it was more of like an unstructured Contributor day for us. Dennis showed how one could join slack, use trac, ticket patching, how one could locally install WordPress, and more. There were various different groups including the marketing, theme, plugin groups. And since it was my birthday, I also got a Happy Birthday song from all the attendees in the hall. It was a very blissful memory for me. Then, I left the hall a little earlier and I was on my way back to Atlanta. Big changes are coming this year to the WordPress Editor! WordPress will evolve from a simple text editor to a rich content layout builder with the Gutenberg Editor. Earlier when Gutenberg was introduced, I was not very sure about it being implemented in the core. But seeing how the Gutenberg developers are drastically implementing new features to make it as easier as possible for its users, I think it has changed my opinion about it. I tested Gutenberg 2.2 and it was a pretty smooth experience for me. The Gutenberg Editor seems to be more interesting now. The reason I mentioned this is that it’s not about anyone liking it or not; Gutenberg will be the new editor and you will have to accept it if you’re working with WordPress. It is going to be implemented in WordPress 5.0. The community has already decided that Gutenberg is going to be merged into the core. I have seen a lot of people criticizing and doubting about Gutenberg being the main editor in WordPress. So, for those, instead of complaining and ignoring the Gutenberg editor, why not try to improve it? WordPress is an open source and everyone has the freedom to patch the things they don’t like. So, we can actually be collaborators and contribute to the editor rather than criticizing. Gutenberg is not even in its Beta version yet, which means, it includes a lot of bugs and it is definitely not ready for your production site. That is why, complaining is the worst thing you could do about Gutenberg; instead, you can help the Gutenberg developers to improve the editor before they merge it to the core. Today’s generation is more like a touch-generation than type-generation. People are more into the touch, voice, pictures, and videos feature more than the typing feature. And Gutenberg provides extremely easy user-interface for those who are more into the touch feature. So, that is another best thing about Gutenberg which can be pretty attractive to new users. So, basically, Gutenberg will be the next big thing in WordPress for sure and it would be interesting to see how it is going to change the WordPress ecosystem. Catch Themes is very positive about Gutenberg and we are looking forward to discovering new innovations in Gutenberg. Talking about my further plans, I am really looking forward to the release of Gutenberg and I am also planning to expand my business as well. We will be launching Catch Plugins very soon this year. You will be able to find all the WordPress plugins created by the Catch Themes team in Catch Plugins. Our focus this year is to implement more design works in our upcoming themes and introduce more features in our plugins. This is also the reason why we are creating a new domain for our plugins. Also, we have already designed logos for the website. Let’s say the preparations are at the peak for this change in Catch Internet. There are a lot of other products that we are working on, which will be coming out slowly. So, as soon as the Gutenberg editor enters the Beta version, we will be working on the products more rapidly. The best thing throughout the whole WordCamp Albuquerque event was Sam’s company. He drove us to different places, nice restaurants, and venues. He made the whole event a fun place to be. That’s why I said earlier that WCABQ 2018 felt home. So, a big Thank You to Sam Hotchkiss for inviting and accompanying me throughout the event. In my personal experience, I think Albuquerque is a very beautiful state. The only thing that I wish I had done was stayed there for a few more days and explored the state. The scenery of Albuquerque was really beautiful. The mountain range was very wide, roads were pitched, and the landscape was quite unusual. The view was spectacular and eye-pleasing. The light snowfall made the state look magical. For traveling, Albuquerque is undoubtedly one of the best places to go for. I definitely will explore the place to my heart’s content next time I go there. This entry was posted in Events, Travel, WordCamps, WordPress by sakinshrestha. Bookmark the permalink.